Small, tight, and fascinating, this short follow-up is better than the original Alan Wake. 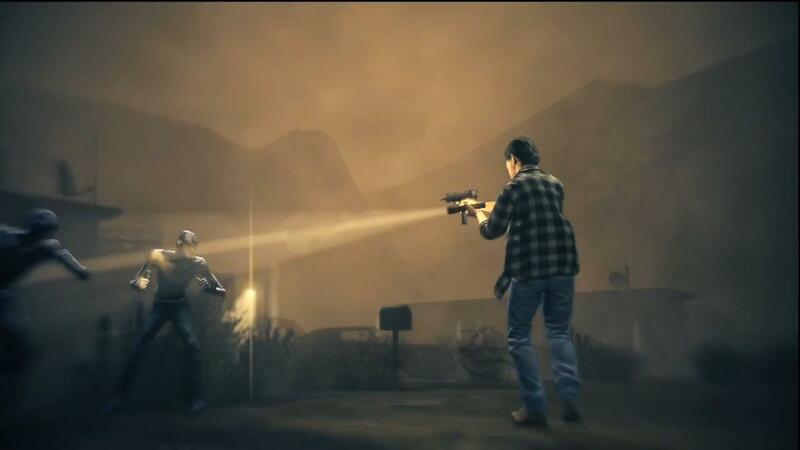 Alan Wake’s American Nightmare is about a writer who can influence reality with his writing. He has spent the last two years trapped outside of the normal world, but now he has the chance to write himself back in. Unfortunately, altering reality isn’t so easy. He can author events that, if the circumstances match his description, will come true. But there can be side-effects. Symbolism and suggestion can alter the world just as easily as exposition. And he has competition. His adversary is a doppelgänger named Mr. Scratch, a psychopath who is the embodiment of the bad reputation that Wake cultivated before the events of the first game. Mr. Scratch has his own plans. One of them is to trap Alan Wake in a time loop within the little bit of reality the author is trying to influence. Another is to assume Wake’s identity and dispose of his wife. This is the setup for Alan Wake’s American Nightmare, the XBLA follow-up to Remedy’s 2010 horror game about the reality-altering writer. Though American Nightmare is a much smaller game, it’s better than the original in almost every respect: the game play is tighter and more interesting, issues with collectable items have been fixed, and the story is better integrated. 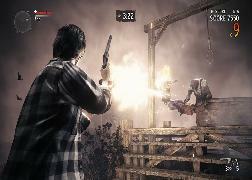 Combat is deeper and more varied, the levels are large and interesting, and the core elements that made Alan Wake fun have been left alone. 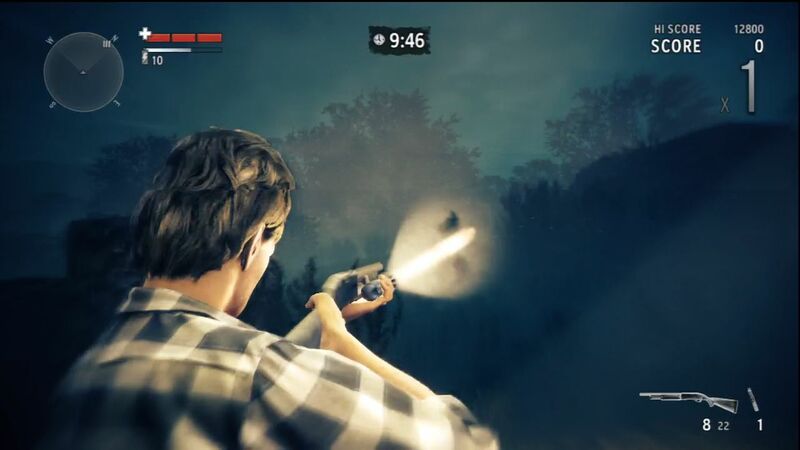 Though a game of comparably tiny scope, American Nightmare takes the Alan Wake formula and perfects it. The core mechanic of the game is the time loop Wake finds himself trapped within. There are three large areas that Wake visits over and over, trying to tweak his changes to reality so that the result he wants will come to fruition. Within each level there are enemies to fight, NPCs to talk to, items to find, and areas to explore. American Nightmare deftly fast-forwards item quests each time through a level segment so that you don’t actually spend too much time performing the same actions over and over again. Each loop plays out slightly differently, and though the stages repeat the story is constantly moving forward. The time loop mechanic is brilliant for two important reasons. First, it is an extremely smart way to create an interesting game without pouring the vast resources necessary to build a modern AAA title. 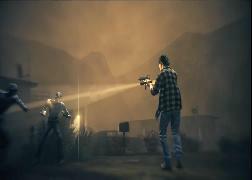 By reusing level art and characters, American Nightmare packs a whole lot of gameplay into a fairly small amount of content. You might think that having a game with only three levels would get pretty repetitive, but the way items and characters are mixed up with each visit keeps the game fresh and interesting. Console games are expensive, and development cost creates a tension between financial risk and creative freedom. By intelligently reusing expensive assets (the levels and characters), Remedy creates breathing room for creativity in the game design itself. From a game production standpoint, American Nightmare is an extremely slick design. Second, the time loop allows Alan Wake’s central story innovation, the manuscript pages, to shine. In Remedy’s first Alan Wake game, Wake constantly finds pages from a manuscript that he himself has written, though he can’t remember it. The pages describe future events, and they are never wrong. It’s an interesting story telling mechanic because it flips the normal role of narrative documents in horror games on its head. Instead of filling in the backstory with events of the past, Wake’s manuscript is describing (and, we eventually realize, dictating) the future. The problem with the first Wake manuscript is that the pages are sort of hard to find. Without them, the game devolves into a rather simple shooter and a lot of running in dark woods. But to find them, the player must throw any pretext of participating in the narrative out the window: Wake has to stop looking for his wife and start canvasing the levels if he expects to find every page. As I wrote in my review of Alan Wake, the collectable system conflicts with the large, linear design of the levels, and hurt the game considerably. This problem is very cleanly resolved in American Nightmare by the time loop. First of all, most of the manuscript pages (which again describe future events, albeit with a lot more clarity) are placed in places where you cannot miss them. They shine like a lightbulb and even appear on the mini map. Better yet, if you miss a page the first time through a level you can pick it up the next time through; you have many chances to collect everything. Since the levels are designed to host multiple goals throughout the game, they are designed as large open arenas rather than linear paths, and this makes exploring them a lot more fun. 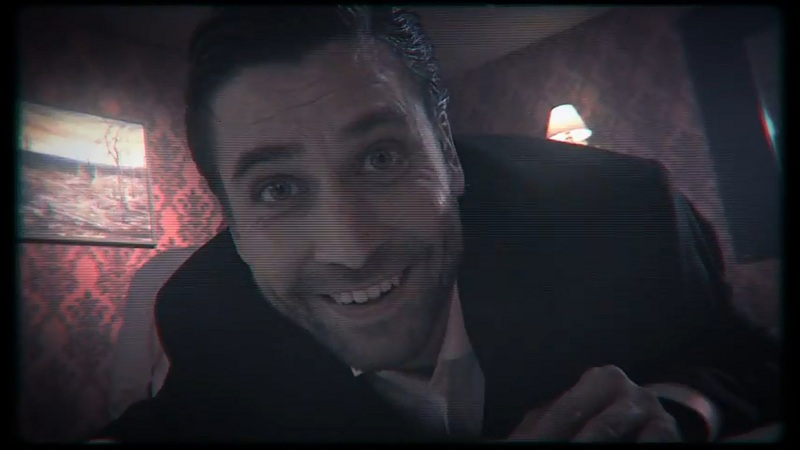 The approach works so well that the original Alan Wake seems a bit clunky by comparison. All of this, the time loop and the smart level reuse and the manuscript pages, serves a singular purpose: to let the writing and story behind Alan Wake flex its muscles. The story here isn’t the most complicated thing in the world, and though the narrative is not deep it is extremely interesting. There are threads in the story, clues dropped throughout the game that invite the player to wonder about the events taking place. 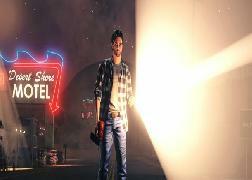 At one level, Alan Wake is fighting The Taken in a small Arizona town. At another level, Wake is playing out his own manuscript. At another level, the content of the screen might actually be an episode of Night Springs that Wake authored. And of course, at another level, Wake is a video game character we are driving around with a controller on our TVs. This is fertile philosophical ground; it reminded me of Sophie’s World, a philosophy textbook wrapped up as a novel by Jostein Gaarder (which I’ve quoted a bit here). Though American Nightmare isn’t trying to teach you about existentialism, it provides a lot of mental meat for your brain to chew on. And that, I think, is the mark of a really good game.